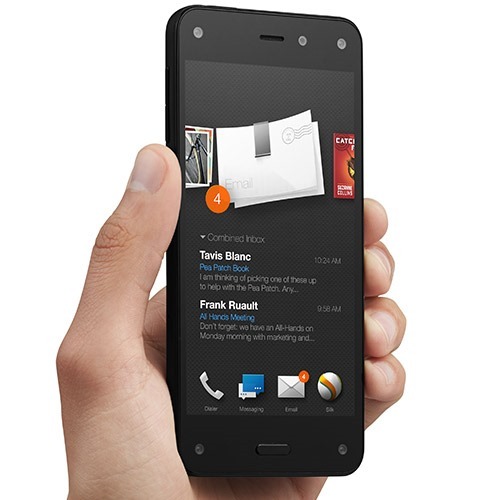 If you're a patient deal hunter and you wait long enough, Amazon might just end up paying you to take the Fire Phone off its hands. If not, the price is pretty good at the moment: $179 for the unlocked 32GB model, without a contract to be seen. That's $10 down from where it was just a little more than a month ago, $270 off the original price, and a pretty awesome deal for a phone with a 4.7-inch 720p screen, a Snapdragon 800 processor, and 2GB of RAM... if you can stomach Amazon's Fire OS fork of Android. Sweetening the deal is a free year of Amazon's shipping/movies/music/storage/what have you service, Prime. That's a $100 value, assuming that you intended to buy it anyway, bringing the effective price for the lot down to $79 for the right buyer. It's a fantastic bargain if you're happy using an Android phone gutted of its Googley goodness. The Fire Phone works best on AT&T thanks to its specific LTE band setup, but it will also work on T-Mobile LTE in most places, and supports 3G for any US GSM carrier. Verizon, Sprint, and their various CDMA-based virtual network operators are left out in the cold. There's no telling how low the price will go in a few months, but if you need a decently powerful phone on the cheap, you could do worse.